We may have grown out of our humble beginnings on Manhattan's Lower East Side, but a century later in Union, NJ factory, the heart and soul built into every jacket is the same as it ever was. We start our jackets from scratch. 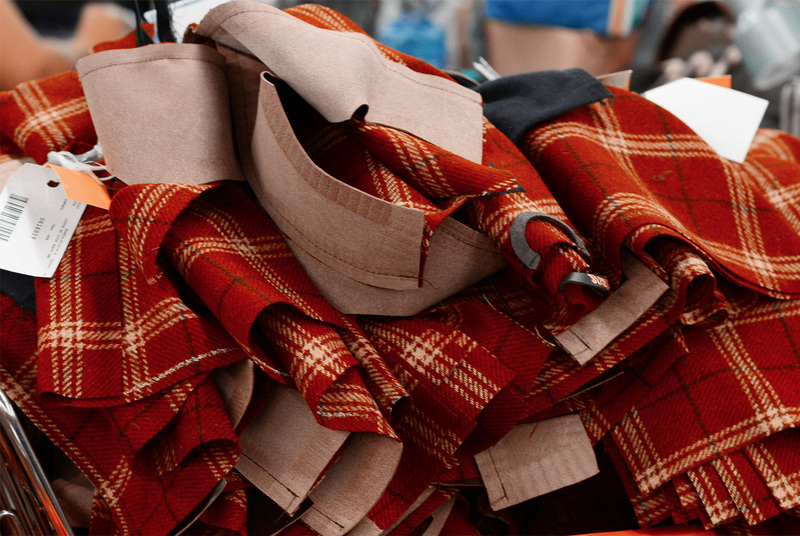 Woven rolls of wool, cotton, denim and other fabrics meet up with cowhides, lambskin, horsehides, and other natural skins. 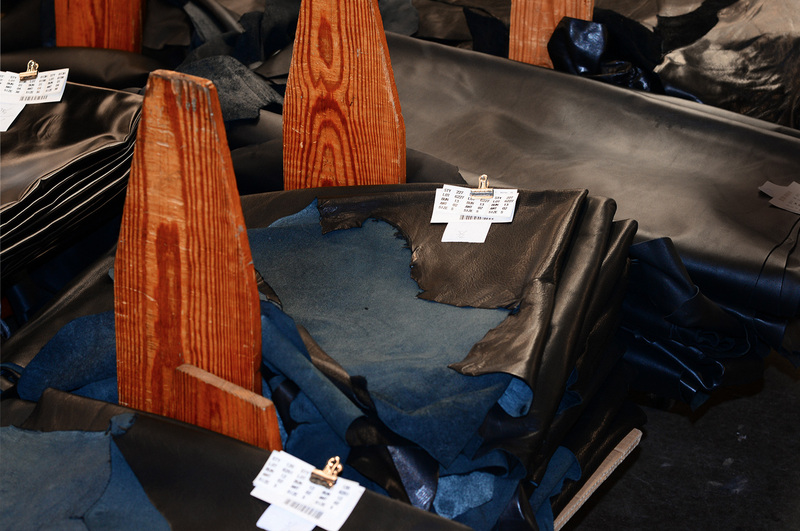 Before we cut a leather hide, we take incredible care in choosing every hide for each jacket. 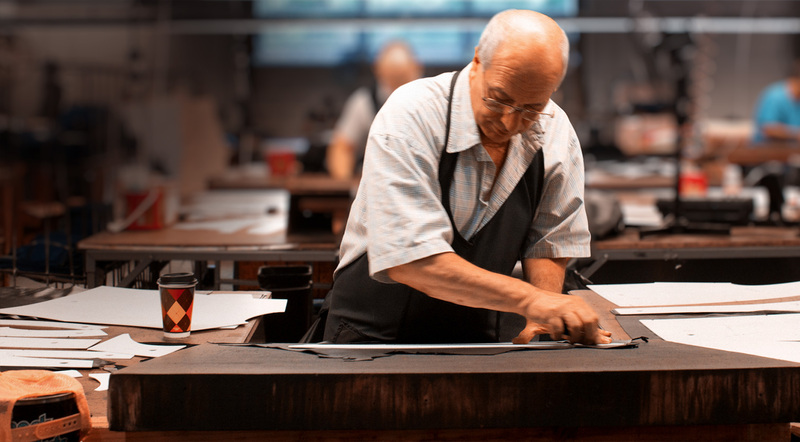 We have skilled leather craftspeople with years of experience who make sure that every part of every jacket is cut from a hide that matches in color, grain, & texture. 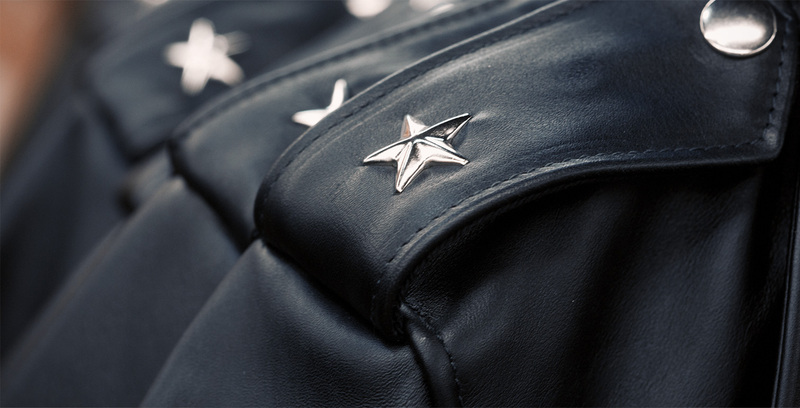 This detail differentiates our jackets and makes them stand out from those made in other factories. 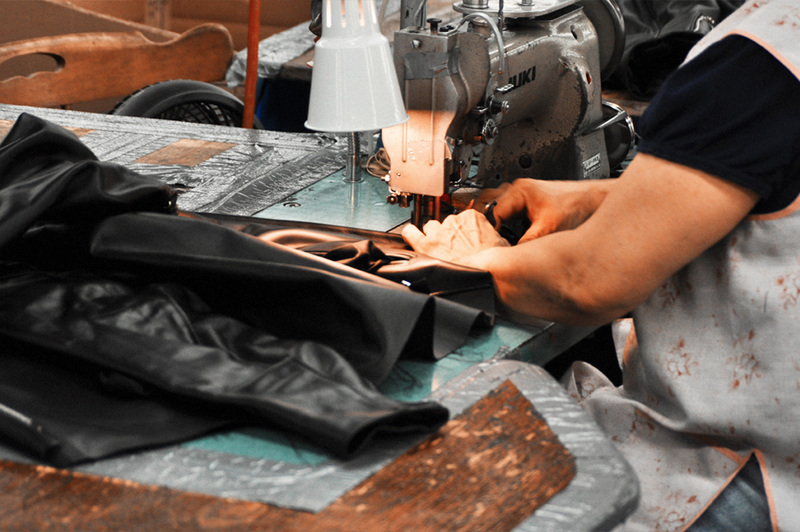 The leathers and fabrics are cut using expertly made patterns to ensure quality and consistency with all of our jackets. 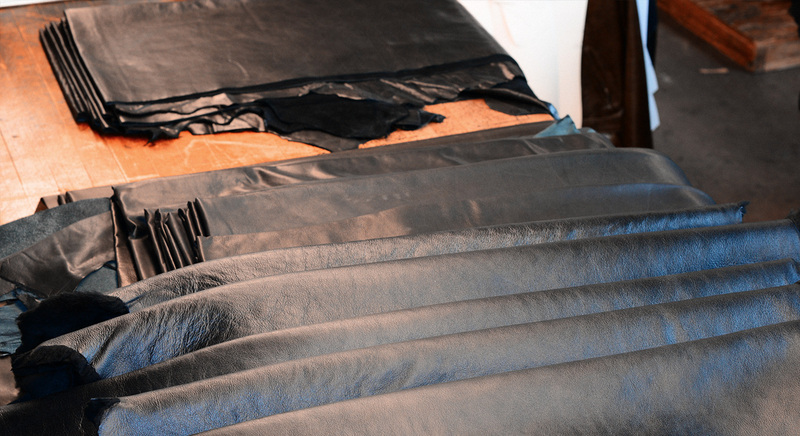 The fabrics can be cut in a stack using printed patterns on paper, but the raw leather hides are cut by hand one piece at a time using heavy laser-cut plastic patterns. 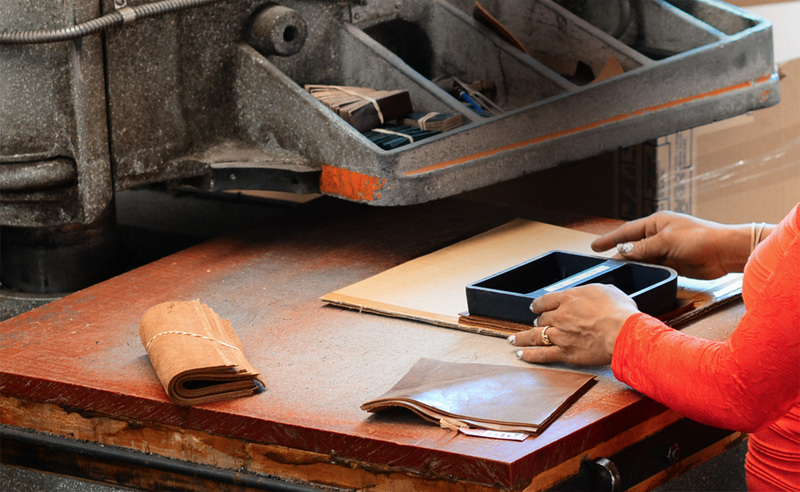 Leather cutting is an incredibly complex art form using just a razor blade. 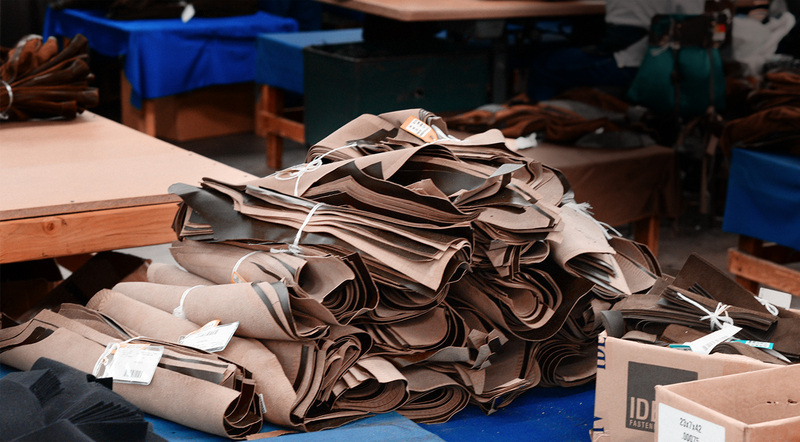 The hides are crafted one at a time by highly trained cutters with years of experience. 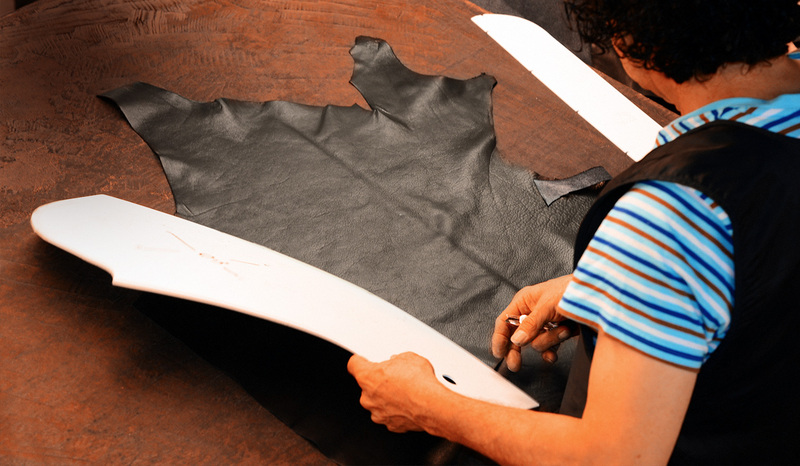 The cutters know the variations of the strength of the skin on each area of the hide so they can cut each piece precisely to maximize quality, remove imperfections, and yield the least waste. From here, all the pieces are bundled and organized to be handed off for assembly. There's a lot of moving parts in building a jacket, from the biggest pieces down to the smallest detailing, and individual parts are made separately until they come together near the end. Pieces that will become smaller details, like pockets, epaulets, flaps, and more, are chopped using something similar to a cookie-cutter like you might have at home, but far more industrial, making sure each piece is exactly the same so no matter which Schott jacket you get, you know it'll be perfect. Pieces that will become the inside of the jacket are assembled together. Our jackets are actually all made inside-out to hide the stitching. The front and back of the jackets are made independently, then both parts of the outer shell are sewn together, still inside-out, and then the jacket is flipped right-side-out usually through a small hole in the sleeve or waist. Next up, details like top stitching, sewing the jacket around all sides to give a crisp clean edge, and attaching zippers and pulls are started. Like every step so far, this is highly detailed work focusing on quality and durability, ensuring your jacket will last for years to come. More hardware is added, button, snaps, stars, grommets and zippers come together as the jacket nears completion. One last step, and the most important one for every single jacket is final inspection. If everything on the jacket meets our high quality standards, it's then tagged, individually numbered, and is finally ready to meet you. 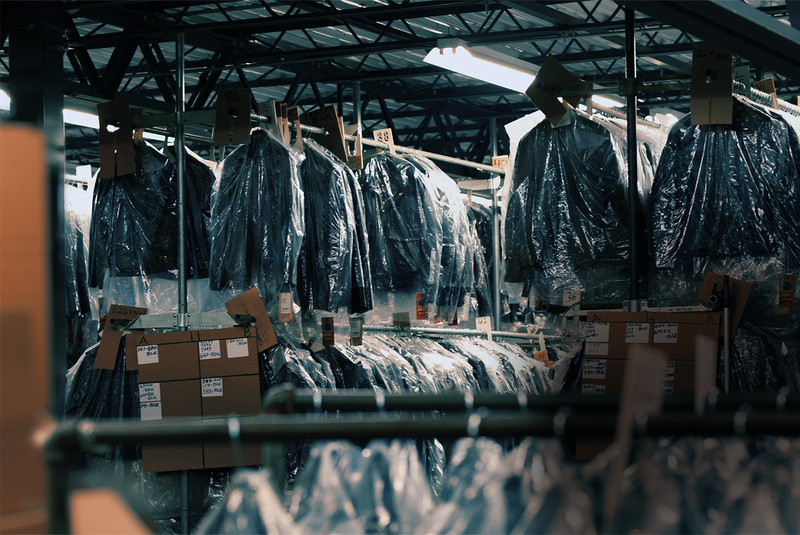 The jackets are all ready, after a brief stay in our warehouse, our jackets will make the trip to our Flagship stores, shops around the globe, or direct from our factory to your front door! It's a long journey, and one that we do hundreds of times a day here at Schott NYC, for over 100 years, and we wouldn't have it any other way.